There are many things I love about being a voiceover and working from my own home studio. There’s the opportunity to connect and engage with people all over the world. Discovering new ways to use the skills I’ve been honing as a voice for more years than I care to remember. Working with creative people who trust me to deliver their ideas. And perhaps most important of all… having plenty of time with my dogs…! 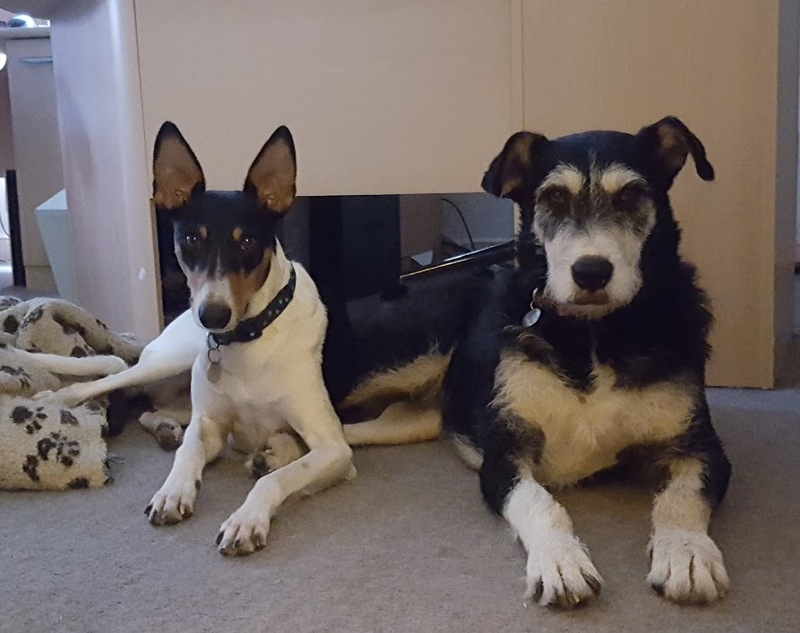 The sound hounds: Vincenzo Nibbly (with the ears) and Lady Arabella Barker-Parker (with the eyebrows). Yes, my full job title should probably be ‘Mad Dog Lady British Female Voiceover’ as here at Parker and Parker Productions the sound hounds definitely rule the roost (bit of a species mash up there, but you know what I mean). Both rescue dogs – who came, individually, on foster and just sort of, erm, stayed – they are still learning how to be model canine citizens but we’re gradually getting there. The postman is clearly the enemy and they don’t quite understand why we get a little tense when they play fight for hours in the office but most of the time they fulfil their sound hound duties – providing laughs and stress relief – pretty well. From me and the sound hounds, have a fun and safe bonfire night, one and all. Recording voiceovers for TV, radio and Online for over 20 years. WAVs, MP3s, ISDN & Source Connect Now. Fast high-quality VO service. To find out more call 01380 727724 or email Kate.